If you have a family, you don’t retire alone. Your spouse is part of your plans and your children may be as well. So you need to plan to fund a retirement that can satisfy everybody. Plan to fund the life of the youngest spouse. We’re all living longer these days and women live longer than men. Take that into account when planning how many years you’ll need an income. A surviving spouse may need less to live on, but he or she still needs adequate income to be comfortable. If the death of a spouse will lower pension payments or other income, consider life insurance as a way to supplement income. It can make up for lost income and also pay for activities that the deceased spouse took care of, like household maintenance, lawn care or accounting. Most of us only retire once. So we can’t rely on our own retirement experience to put together the best plan for our spouse or other family members. 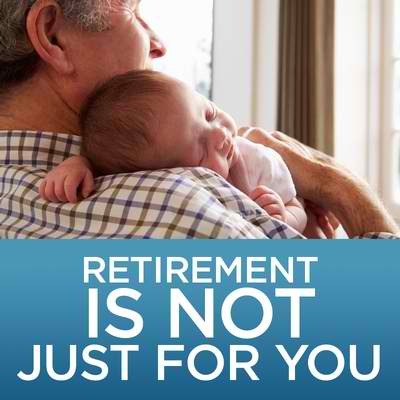 Talk to a retirement planning professional about your complete family’s retirement picture. Then execute a plan that will make everybody happy for the rest of their years.